Watch the Ponk book trailer! Posted in UncategorizedLeave a Comment on Watch the Ponk book trailer! 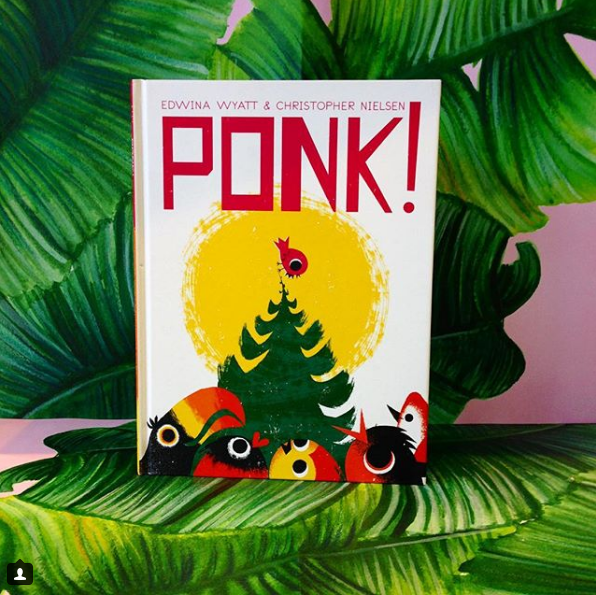 For anyone looking for a little avian fun, please join illustrator Chris Nielsen and I on Saturday the 25th of November at 9:30 -10:30am at Berkelouw Books in Leichardt for a Ponk Party! There will be stories…there will be craft…there will be noise – ponk! Repost – berkelouwbooksleichhardt Come and join us for a PONK! extravaganza on Saturday 25th November at 9:30AM. 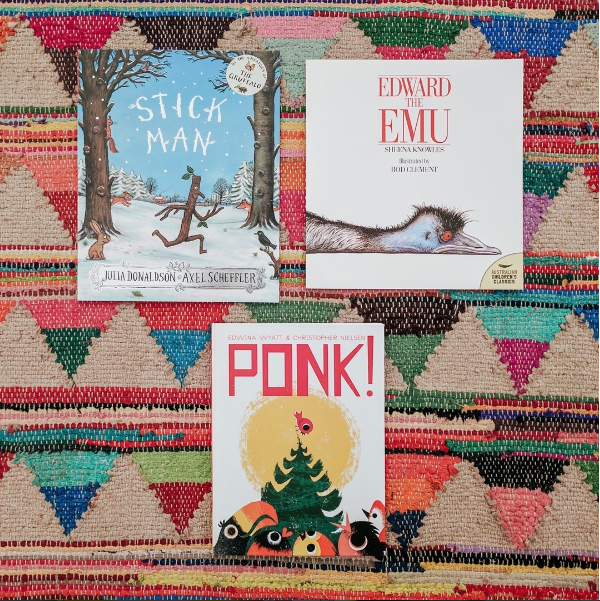 We’ll be joined by dynamic duo author Edwina Wyatt and illustrator @christophernielsen who’ll do a reading of their wonderful story and show us how to recreate the beautiful illustrations from the book. This is a free event perfect for budding artists and those with an indomitable spirit! Today’s theme is strength and resilience and I am delighted that Ponk has ponked onto the mat. Thank you, Squishy Minnie! May I borrow your glorious rug (permanently)? So touched that Litworld has included the North American edition of Together Always in their 7 Strengths picks to celebrate UNESCO’s International Literacy Day. Thank you, LitWorld! This International Literacy Day, we celebrate the strengths of readers all around the world, and the strengths that stories give us. We believe that literacy is about so much more than decoding, spelling, and composition. Literacy is the tool we use to understand the world around us and create new worlds all our own. Young people can read stories of courage and share their own stories of hope. Books can satisfy our curiosities and guide us towards new questions. Writing a poem can help us find confidence in ourselves, a kind note can be the building block of a friendship. Literacy lets us know we belong. Our 7 Strengths framework goes hand-in-hand with the kind of literacy that changes lives. Check out some of the latest additions to our 7 Strengths Library (courtesy of our interns!) and join us as we honor the transformational power of literacy. As Kelp tries to find his true home, he learns that family doesn’t have to look like you or act like you–they just have to love you. This clever picture book shows the importance of perspective and imagination as a curious cat explores it’s surroundings. Together Always follows best friends Goat and Pig as they find their own way and prove that true friendship can go the distance. Based on the memorable characters from her bestselling novel, Wonder, R.J. Palacio teaches us all to always choose kind. Despite the Height shares the true story of WNBA all-star Ivory Latta, and teaches kids to preservere through obstacles and believe in themselves to reach new heights. Jabari is almost ready to jump from the diving board, but first needs some encouragement to embrace his fears in order to overcome them. Through beautiful illustrations and writing, Francesca Sanna captures the challenges, strengths, and dreams of refugees starting a new life in a new land. UNESCO’s International Literacy Day is recognized annually on September 8. Learn more here. Wow – thank you, John, for sending me this fantastic photo! 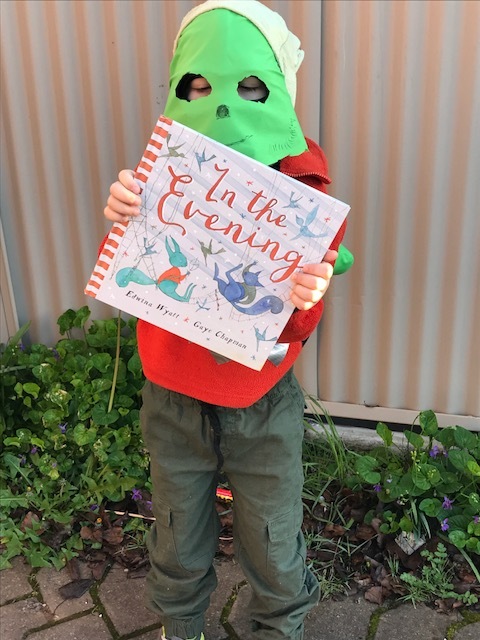 Here he is all dressed up as Oscar from In The Evening for the Book Week parade. I especially love the orange jumper and word is that the face is a Darth Vader mask and the ears are courtesy of Yoda. Too excellent. Posted in UncategorizedLeave a Comment on Book Week! 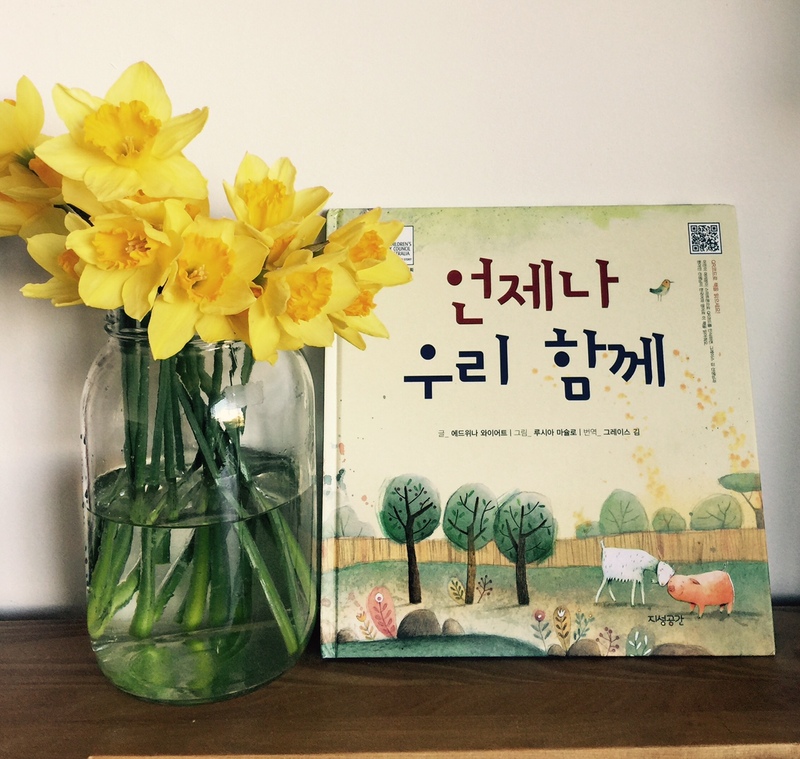 Pig and Goat in Korea! Posted in UncategorizedLeave a Comment on Pig and Goat in Korea! Sending love and thanks to everyone who attended the CBCA Literary Lunch in Fairy Meadow today where we launched PONK! It was a wonderful way to spend an afternoon. Over 150 people attended the event including this wonderful bunch from Kiama Public School. Such a fun day of scribbling, sausage rolls and stories! 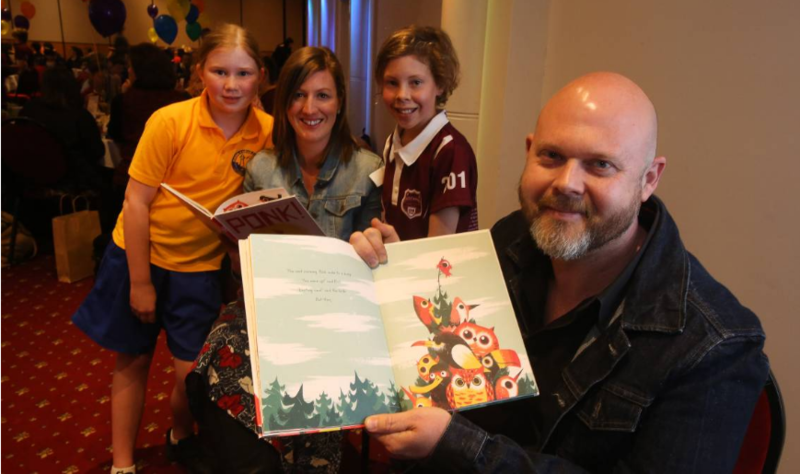 Well known Illawarra children’s authors and illustrators were in literary heaven on Wednesday as young inquisitive minds absorbed all their tricks of the trade. 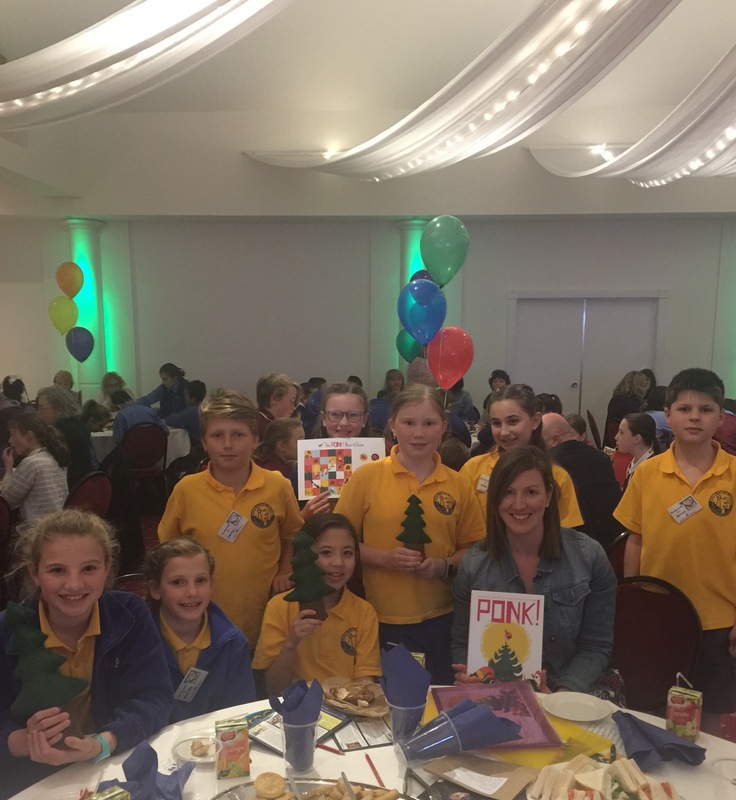 Over 150 primary school students from Kiama in the south to Austinmer in the north joined some of their favourite authors at a special literary lunch at The Fraternity Club in Fairy Meadow. The event is a major fundraiser for the Illawarra-South Coast sub-branch of The Children’s Book Council of Australia (CBCA). The day involved 16 well known authors and illustrators, each sitting with the children and imparting their vast knowledge about writing, illustrating and publishing children’s books. Gerringong author Edwina Wyatt enjoyed meeting with the eager youngsters and also took the opportunity to launch her third book for publishers Little Hare, called Ponk! As an added bonus Wyatt also got to meet the book’s illustrator Christopher Nielsen, for the first time. ‘’This is the first time we’ve met and it is a real privilege because you can have years of corresponding online with illustrators and you never get to put a face to a name. It’s really nice to meet Chris, he is a lovely guy,’’ she said. The admiration was mutual, with Nielsen adding he had a lot of fun illustrating Ponk! ‘’I decided to come here today to help launch the book, meet Edwina and celebrate the beautiful thing that we did,’’ Nielsen said. Wyatt said the book was about lead character Ponk the bird. 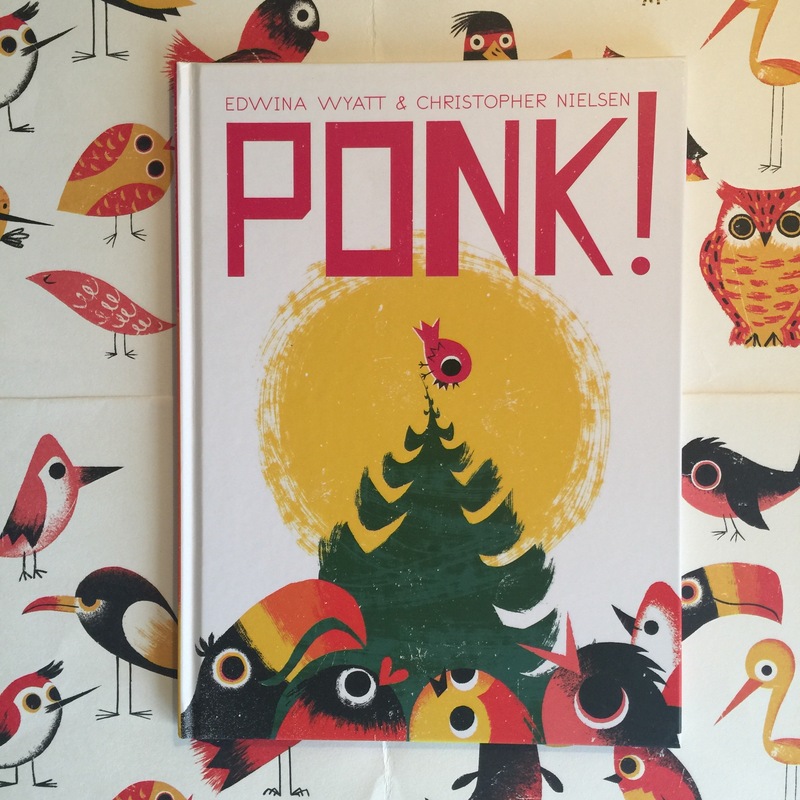 ‘’He lives at the top of a tree but continually falls out and goes ponk,’’ she said. The mother of two has five more children’s books in the works with Little Hare and Walker Books. It’s that time again! Storytime on Thursday at 10.30 am. This week’s theme is The Importance of Friendship! 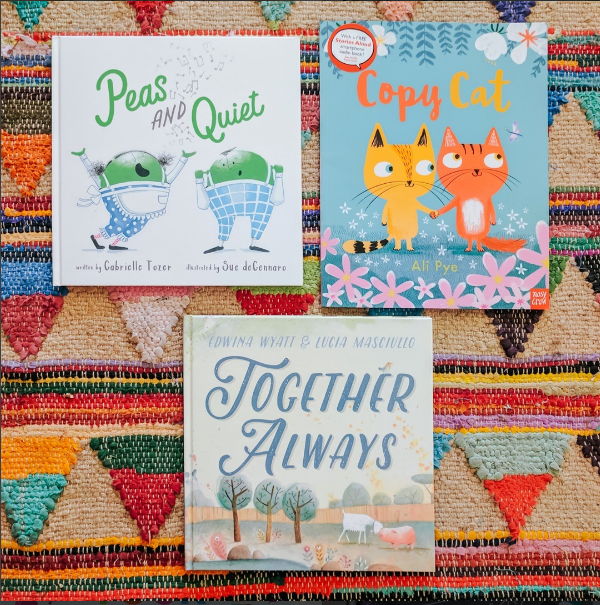 We’re reading Peas and Quiet, Copy Cat and Together Always! Join Lucky each week for 30 minutes of amazing story time adventures. Hear great stories filled with wonderful characters and messages to help your little one develop important language and listening skills. 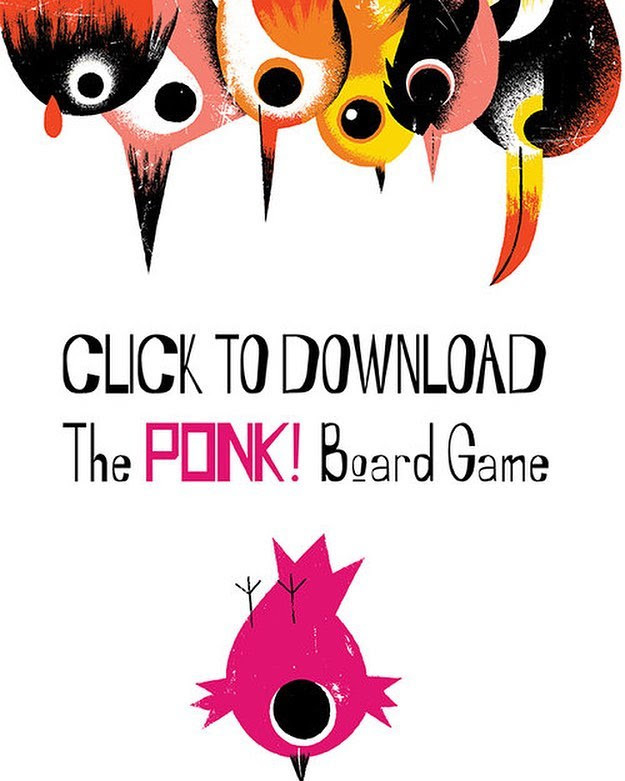 Illustrator, Chris Nielsen, has been such a joy to work with during the creation of ‘Ponk!’ He has surprised us yet again with another wonderful creation: a Snakes & Ladders style board game with the whole crew. Watch out for those pinecones…ouch.